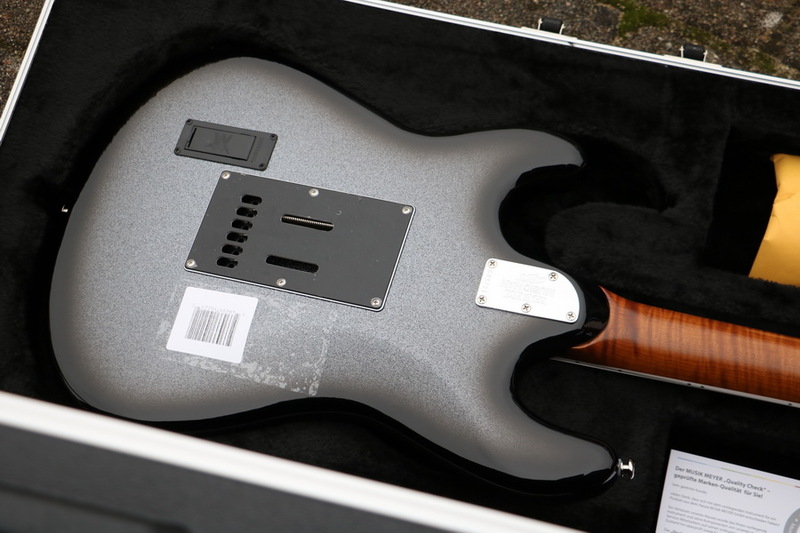 Informationen zum Produkt "Music Man - Cutlass BFR smoked chrome HSS"
Der leichtgewichtige Erlekorpus ist im Smoked Chrome Sparkle Finish lackiert. Das Ebenholzgriffbrett wird von weißen Perlmutt-Blockinlays und einem weißen Griffbrettbinding veredelt. Der gemaserte Ahornhals wird von der in Korpusfarbe lackierten Kopfplatte besonders betont. This special edition Cutlass BFR features a lightweight Alder body finished in opaque off-white custom color 'Cornsilk' with a polyester clear coat. 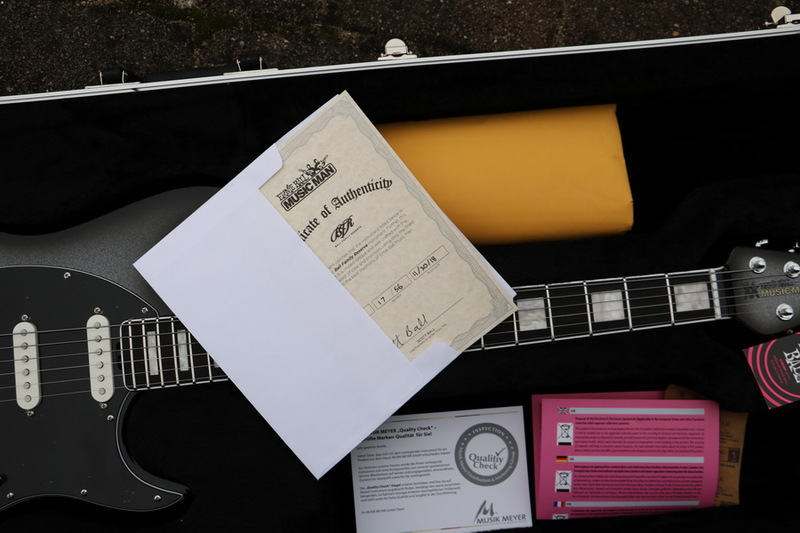 Smooth satin finish figured white maple neck with rosewood fingerboard is accented with pearl white block position markers and hand fitted white binding. 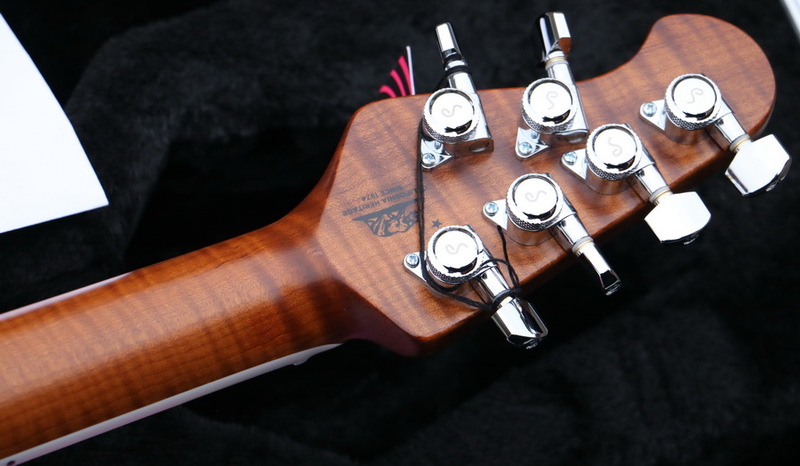 This BFR edition guitar comes with matching painted headstock and locking tuners. 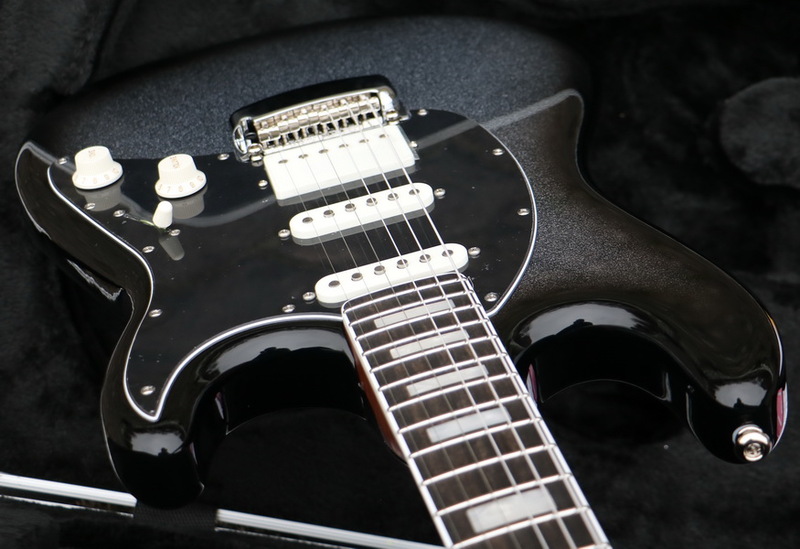 Parchment pickguard with contrasting mint plastic parts completes the overall aesthetic package. Limited to 31 pieces worldwide.